Due to poor design and almost non-existent insulation in the homes, the energy consumption reaches its peak during winter in the country. There is a need to construct energy-efficient buildings to help reduce greenhouse gas emissions. This was shared during the first ever lecture series launch on innovation, science and society called BLISS by the Bhutan Ecological Society (BES) yesterday. One of the issues discussed is the need for Bhutan to have insulation in buildings. Insulation limits the need for heating or cooling the house. As per the energy efficiency baseline study carried out by UNDP a few years ago, buildings in Bhutan use twice the energy. And the residential sector is the highest energy consumer, accounting for 48.7 per cent of the total energy consumption. “If you are looking at today, everybody will shrug their shoulder and say that energy is so cheap and electricity is almost like free. Now let’s fast forward into the future maybe five years or ten years from now and energy cost will be just the same as they are everywhere else in the modern world, expensive,” Thorsten Chlupp, the Building Science Consultant from Alaska, said. 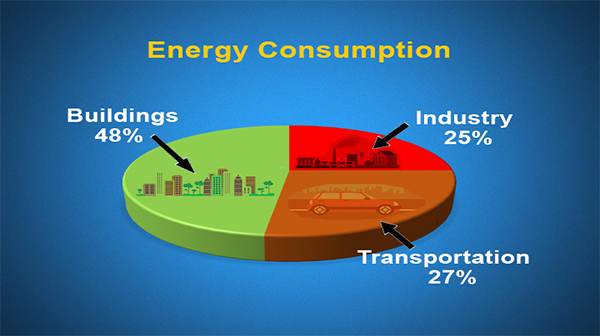 Globally, buildings account for nearly fifty per cent of energy consumption throughout the world. And the building sector can play a key role in fighting climate change. “There’s a huge opportunity to get things right especially for a country like Bhutan to take it from the top down and come up with innovative ideas to really get this achieved on a much faster timescale. Rest of the world spent fifty years trying to achieve energy efficiency,” Thorsten Chlupp said. Lectures like this will now happen every four months to bring transformative ideas, plans and policy initiatives to the forefront and help raise awareness. By presenting it in the form of a public lecture, the program will be a platform to offer ideas, solutions and possibilities to conserve the environment.